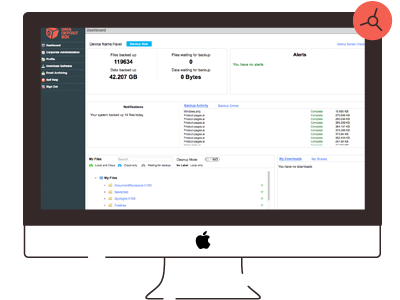 Our patented continuous cloud backup technology for macOS provides real time, end-to-end data protection for all macOS endpoints – including MacBook, MacBook Air, MacBook Pro, iMac, iMac Pro, MacPro and Mac mini. And our service guarantee means your data will be safe and recoverable, or your money back! What makes us the best cloud backup for macOS?